What I wore today: dress for success! Today I went on a job hunt and also had a meeting with a good friend of mine from Limite Magazine. This may not be your typical “dress for success” outfit, but for me it is..I wanted to make sure that every place I dropped my resumé off to, would remember me. Plus I just wanted to dress up 😉 lol. I felt like myself today. 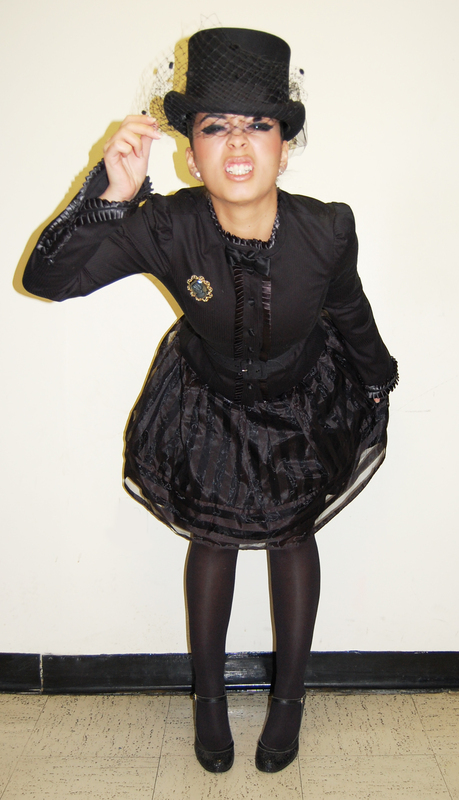 My hat is from Jaxon, my coat, purse, glittered mary jane’s, button-down, and skirt was all Betsey. 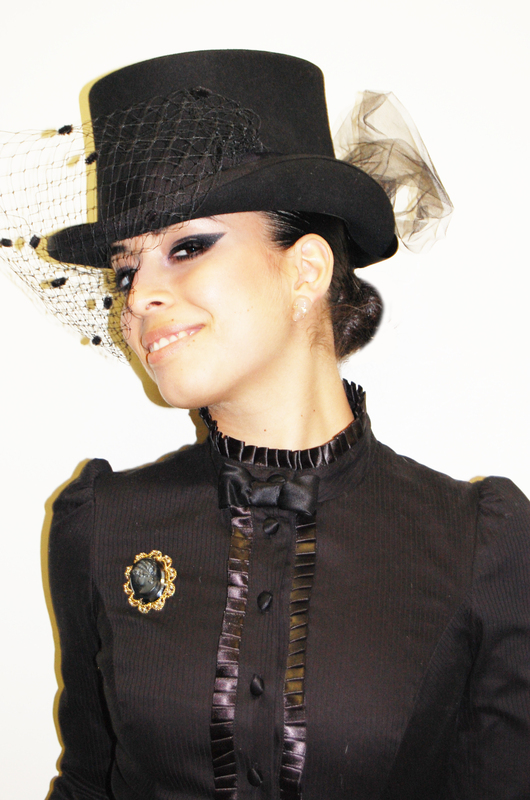 The Broche and ring are vintage. Look out for me on WilliamYan.com as well, I bumped into Will while I was rushing off to my meeting and he took my picture. ← 21-7 Party and more..
:)mmmhmmm You will be remembered. Indeed! 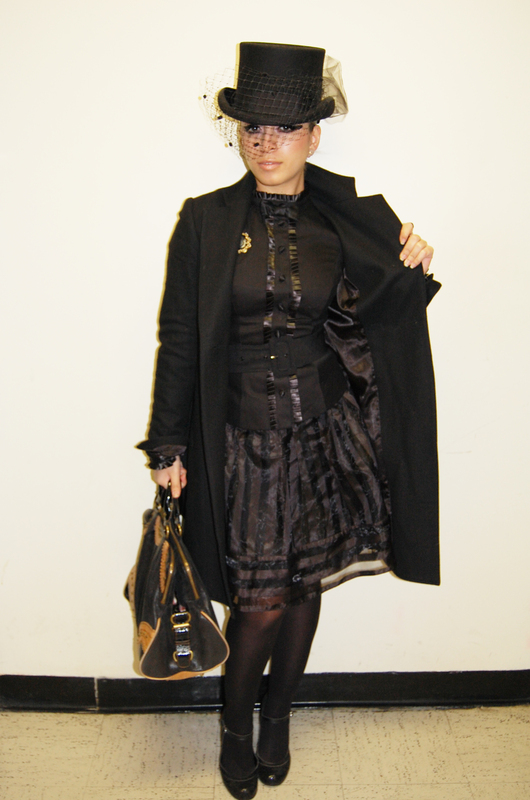 Tres chic …j’aime les garments beaucoup… lol honestly a walking voque advertisement. I DEF looooove the twist on dressing for success. I get so afraid of inserting a lot of my own personal style into a look–no more! Once again, you inspire woman! ❤ you! LOL I'm an idiot! I left this one the wrong post! LOL! kudos for going to an interview in something beyond what is normally considered sensible (which to me usually means boring). loving the Victorian era vibe, very unique take on the “work wear” look. interesting, but still appropriate for an interview. I think you totally pulled it off, I would hire you in a heartbeat! They would be out of thier minds not to hire you looking so FierCE!!!! !